November 08, 2017—Hanover, NH: In June 2018, Dartmouth will once again open its doors to the future of American rugby, as it will host the 2018 installment of the US Collegiate Development camp for aspiring high school rugby stars. Some of the camp alumni, who are currently on Dartmouth’s nationally ranked rugby team—Luke Bienstock, Patrick Sheehy, and Patrick O’Neil— graciously shared their stories from The Collegiate and informed us of how the camp helped them to get where they are now. 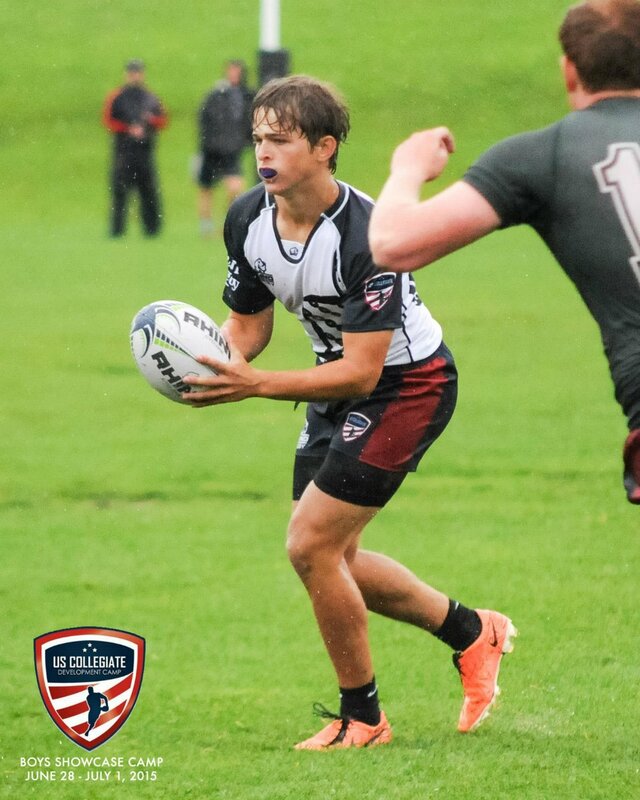 Moreover, Bienstock recounted one of his favorite memories from camp—participating in an activity led by Madison Hughes, a Dartmouth alumus, Olympian, and current captain of the US National Sevens team. Sheehy, who in high school was captain of top-ranked Gonzaga College High School, similarly recalled the camp’s role in familiarizing him to college coaches and contributing to his college recruiting experience: “US Collegiate Development helped introduce me to the college rugby environment through Dartmouth’s facilities and coaches’ expectations on field. It also provided a great opportunity to meet over a dozen coaches, many of which were coaches of schools I was planning on applying to.” Sheehy, named to the All-Ivy First Team as a freshman, received an invite to the US High-School All-American program and multiple U-20 All-American assemblies following his involvement in the 2015 camp. All three players have started for Dartmouth’s 1st XV this season and look to continue their successes with the Big Green, eyeing a second Ivy League championship each.